For anyone who wants to cut the cord but can't find the right skinny bundle to replace their pay TV service, TiVo has an explanation: Today's bundles do a poor job of meeting customer preferences. And the company has done the math to prove it. These findings come from TiVo's 2017 Q2 Video Trends report, which came out today. While customers would prefer a la carte selection (77.5 percent currently would prefer a la carte), no traditional or online service offers that. So TiVo asked customers what their ideal bundle would look like and then compared that to current offerings. For its study, TiVo created seven hypothetical bundles comprised of popular channels. These aligned with three types of viewers: sports fans, lifestyle and travel enthusiasts, and kids. After comparing its groups with streaming bundles, TiVo found current offerings meet the needs of only 43.6 percent of respondents. From this number crunching TiVo draws a few conclusions: One, companies should diversify their offerings based on interests to meet customer needs. And two, they can keep costs down by offering smaller bundles, since many customers prefer small bundles with small price tags. While a la carte selection is currently a non-starter, companies could create a variety of small, tailored options to better suit a range of customers. For more results, download TiVo's 2017 Q2 Video Trends report for free (registration required). Cord-cutters and cord-nevers are the happiest. BroadbandNow's study finds streaming-only customers have the highest satisfaction levels. Viewing habits are shifting as more households get live linear feeds from skinny bundles. The number of subscribers is low, but they're enthusiastic streamers. 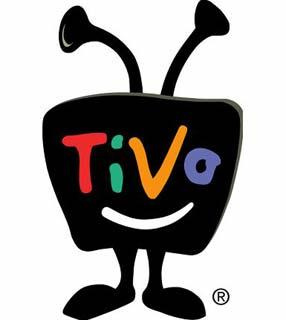 Having prevailed on two previous charges, TiVo aims to take a bite out of Comcast once again. Comcast calls Rovi tech "increasingly obsolete." While it offers no network or sports channels, the $16 per month price is attractive, and comes with an on-demand library and cloud DVR. A global survey by TiVo sees two distinct types of pay TV customers. Operators need to approach them differently in order to keep them happy. While consumers still want a la carte service, which no provider offers, they're willing to pay less for an ideal lineup than they used to be. The newly combined company will be a digital entertainment giant, holding over 6,000 patents and ready to grow in new platforms.